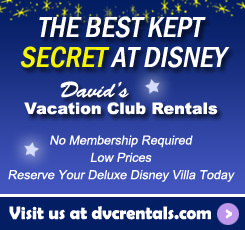 Disney Vacation Club has become one of the most successful and highly rated vacation-ownership programs in the world. Most Disney Vacation Club resorts offer studio, one bedroom or two bedroom accommodations and a number have Grand Villas (which can sleep up to 12 guests). The studios have microwaves, coffee makers and a mini fridge. One bedrooms and up have full kitchens, in-room laundry, and whirlpools. As is the case with standard Walt Disney World resorts, Disney Vacation Club resorts each have their own themes, and most people have favorites. Disney Vacation Club began in December of 1991 at Disney’s Old Key West resort. Old Key West is themed as a waterfront village of colorful vacation villas. Resort amenities include Olivia’s, a full service restaurant, as well as a quick service eatery, Good’s Foods to Go. There are a number of pools (including the main pool which features a terrific waterslide), a general store (especially handy if you want to eat/cook in your villa), two children’s play areas, tennis and volleyball courts, outdoor whirlpool spas, outdoor barbeque grills, an exercise facility and a marina. Although views vary, most of the villas overlook the water, the golf course or the woods. It would be almost three full years before the next Disney Vacation Club opened in October, 1995 at Disney’s Vero Beach Resort. Vero Beach is not on Walt Disney World property. 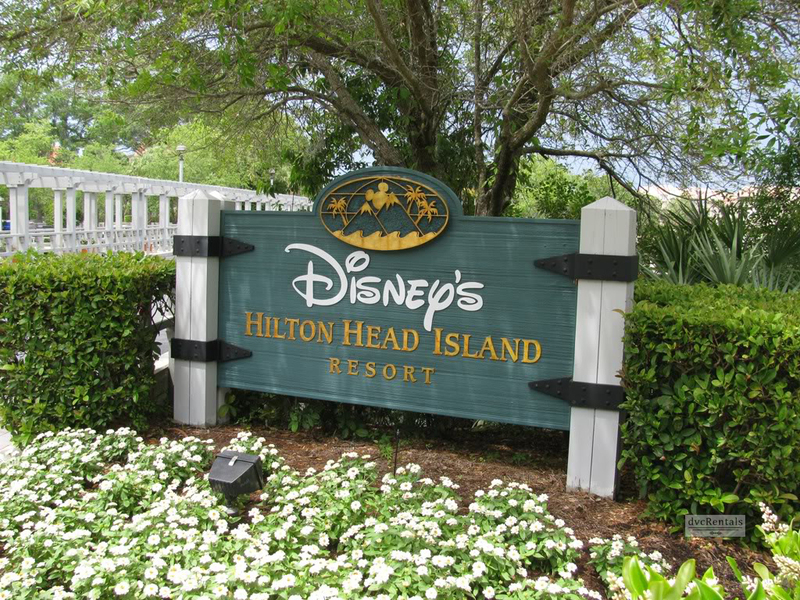 The resort is on the Atlantic coast of Florida, a drive of just under two hours from Walt Disney World. 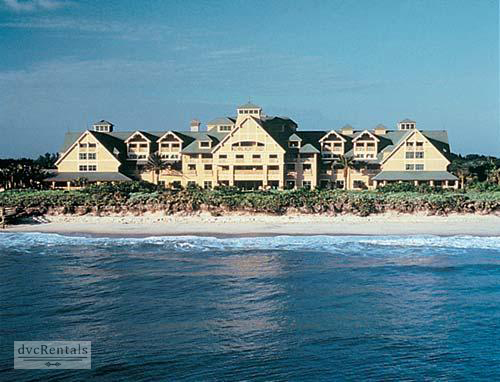 Vero Beach accommodations are located in a large inn as well as in villas located along the coastline. 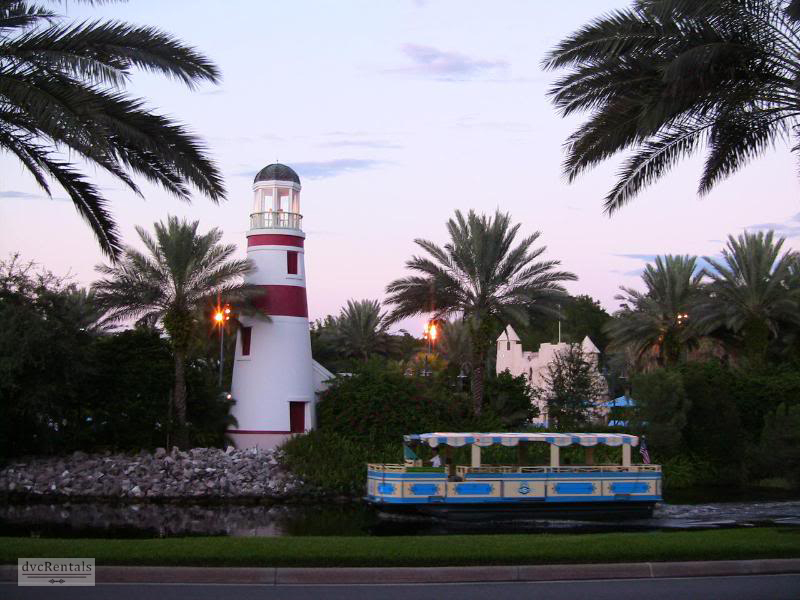 Vero Beach is themed on the Treasure Coast region where the resort is situated. There are many recreational activities here including golf, bicycle rentals, tennis, fishing and (each year from May until October) one of the resorts most popular activities: Sea Turtle outings. In March of 1996 another Disney Vacation Club resort opened up, this time in South Carolina. Disney’s Hilton Head Island Resort is covered with oak trees and marshes. Hilton Head Island is themed on hunting and fishing lodges from the 1940s and is situated on a 15-acre island within Shelter Cove Harbour. While the resort itself is not on the water, the ocean is reachable by shuttle provided by the resort. A pool with a waterslide can be found on property. The next Disney Vacation Club at Walt Disney World came in July of 1996. 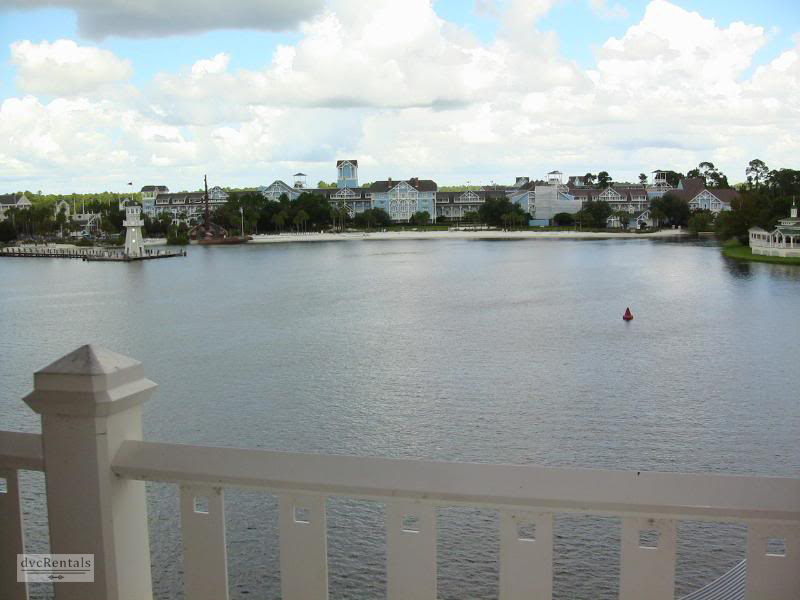 Disney’s Boardwalk Villas is located close to Epcot. The theme park can be reached by boat or foot from the resort. Boardwalk Villas has an Atlantic seacoast theme and features a variety of views: Boardwalk, Garden/Pool and Standard are the three room categories. Guests at the resort will find many ways to be entertained, including nighttime acts on the boardwalk, surrey bike rentals, shops and clubs. 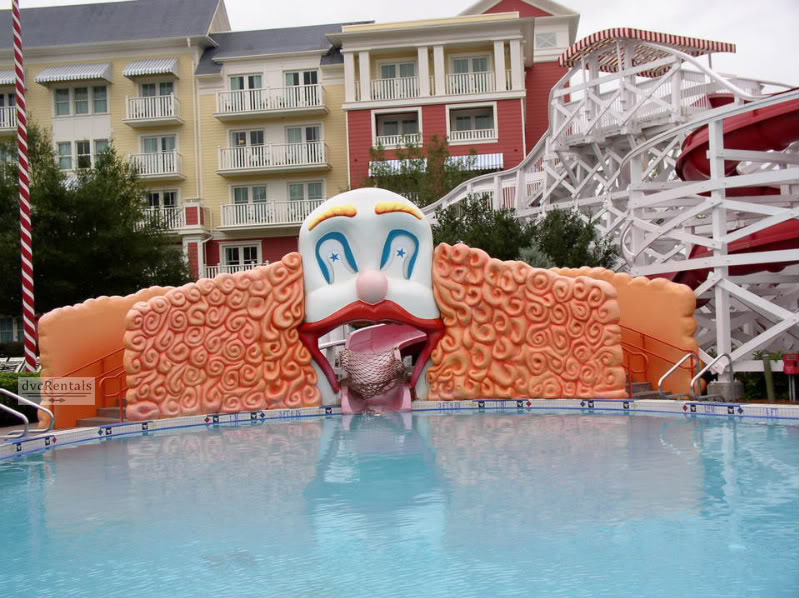 There is a main pool with a clown themed slide, as well as a quiet pool. Both pools have whirlpool spas. The main pool has a water play area for little ones. While there is no restaurant inside the resort, many choices of quick service and full service eateries can be found just steps away on the boardwalk. 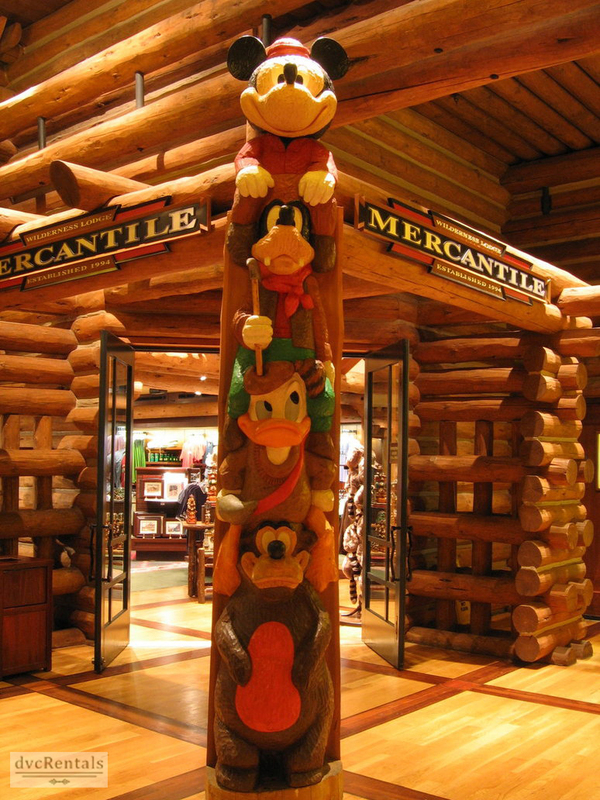 In November of 2000 Disney welcomed Villas at Disney’s Wilderness Lodge to the vacation club family. Villas at Wilderness Lodge theme is the pioneers who built (and often stayed the night during their journeys west) the late 19th century railroad hotels of the national parks region in the American West. The Carolwood Pacific Room which displays railroad memorabilia, can be found here. The Wilderness Lodge Resort has two pools. The largest, Silver Creek Springs Pool, sits in the middle of the resort’s courtyard. The pool is surrounded by rock work and beautiful landscaping. There is also a hot tub, kiddie pool and water play area. There are two full service restaurants as well as three table services eateries. Villas at Wilderness Lodge is close to the Magic Kingdom at just a five minute bus or boat ride away. You can watch the Magic Kingdom fireworks from the beach, as well as the Electrical Water Pageant. Disney’s Beach Club Villas opened its doors in July of 2002. Located within very easy walking distance of Epcot, Beach Club Villas theme is the mid-Atlantic seaside homes of the early 20th century. The Resort is painted in calming pastel colors, and features Stormalong Bay, an elaborate pool area that is like a miniature water park. Beaches and Cream Ice Cream parlor is found here, as are full service and quick services restaurants. Additionally, Beach Club Villas is very close to Boardwalk Villas, which allows guests to enjoy the amenities found on the boardwalk. 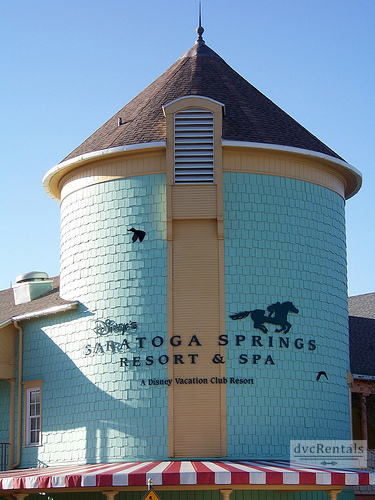 In May of 2004 Disney opened Saratoga Springs Resort & Spa. Saratoga Springs Resort & Spa brings to mind upstate New York country vacation retreats of the late 1800s. The resort is located within walking distance of Downtown Disney and sports both full service and quick service eateries. In June of 2009 the resort added the Treehouse Villas. These are large accommodations found in the woods near the main building at Saratoga Springs. The 60 Treehouse Villas are located ten feet off the ground, sleep nine and in addition to a standard kitchen, each villa has its own barbeque grill. Like most of the other Disney Vacation Club resorts, guests can enjoy multiple pools and whirlpool spas at Saratoga Springs. July of 2007 found Disney Vacation Club opening Animal Kingdom Villas. Animal Kingdom Villas theme is 19th century Africa. There are two African-inspired buildings: Jambo House, which opened first, and Kidani Village, which followed, opening in 2009. The two are within walking distance of each other, but are not connected. Each has its own pools, water-play areas, restaurant selections and animal savannas. Both Jambo and Kidani combine home-like accommodations with African-inspired details, and many rooms have savanna views overlooking the animals. If you have not booked a savanna view room there are many places at Animal Kingdom Villas that are open to all guests to watch the animals at the resort. Night vision goggles can be borrowed by guests at no extra charge. 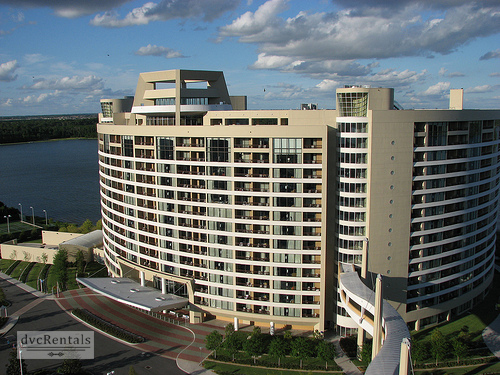 In August of 2009 Walt Disney World unveiled, Bay Lake Tower next to the Contemporary Resort. Built to tie in with the theming of the already existing Contemporary Resort, which has been part of the scene since Walt Disney World first opened in 1971.The rooms at Bay Lake Tower feature modern artwork and bright colors. They also sport a rooftop lounge and fireworks viewing deck. A sky bridge links guests to the shops, restaurants and monorail station at Disney’s Contemporary Resort. Multiple pools and hot tub spas can be found at Bay Lake Towers and the resort is the only resort that gives you the ability to walk to the Magic Kingdom. The monorail is also an option to reach the Magic Kingdom, as well as to get to the Ticket and Transportation Center or to reach other monorail resorts. 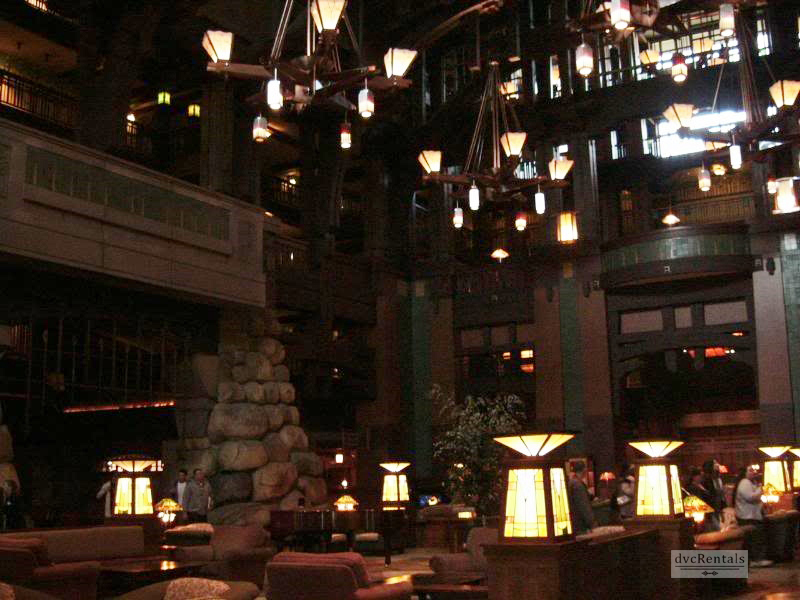 In September of 2009 The Villas at Disney’s Grand Californian Hotel & Spa opened as an addition to the already-existing Disney’s Grand Californian Hotel & Spa. This was the first, and so far only Disney Vacation Club resort at Disneyland in California. 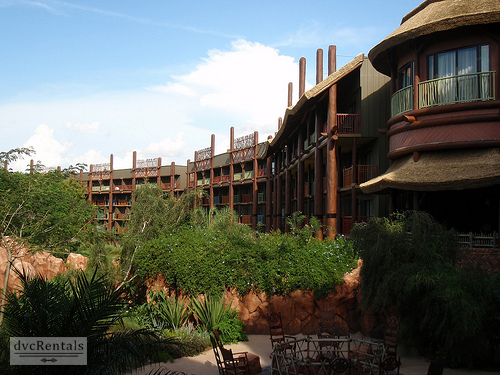 Designed by the same architect who thought up many other Disney Vacation Club properties, it is reminiscent of a western USA national park lodge. Disney’s California Adventure can be reached via a special entrance from the Villas at Disney’s Grand Californian, and a number of the villas have theme park views. Multiple pools and restaurants can be found here as well. 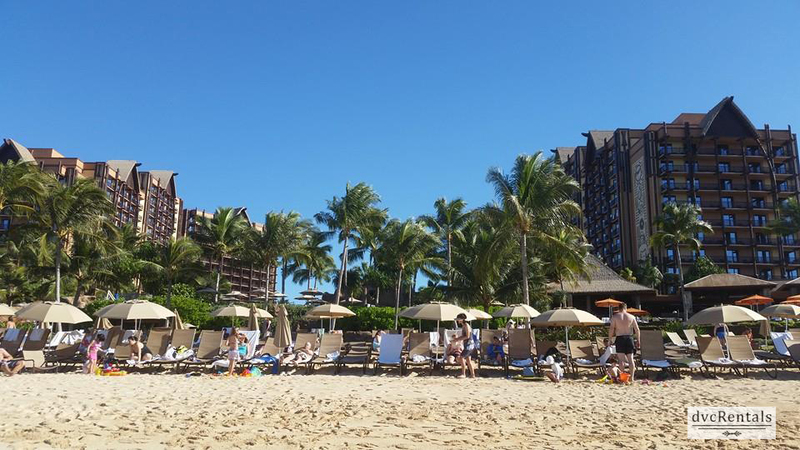 Disney’s first tropical resort, Aulani opened in August of 2011, located on the western side of Oahu, in Hawaii. There are no theme parks here, but there is a gorgeous ocean with beachfront and much natural beauty to enjoy. Amenities include two restaurants featuring foods unique to Hawaii, a snorkel lagoon, as well as a pool area with a volcanic outcropping spa. In November of 2013 Disney Vacation Club added another deluxe resort to its collection. The Villas at Disney’s Grand Floridian Resort & Spa reflect the elegant features and ambiance of its sister hotel, the flagship resort called the Grand Floridian. Just before the 20th century began, Florida was often a vacation choice for wealthy visitors who enjoyed the warm climate and many beaches found in the state. 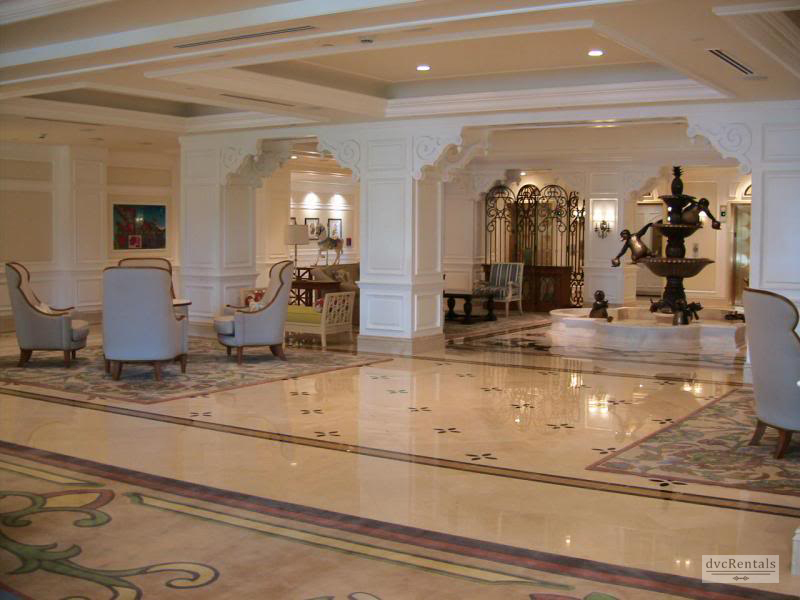 With its Victorian styling, the Grand Floridian brings guests back to this time. There are no restaurants in the Villa portion, but a covered walkway takes you to the resort hotel, where both quick service and table service restaurants can be found. There are multiple pools and whirlpool spas available to guest of the Villas at Disney’s Grand Floridian Resort. Monorails service this resort. 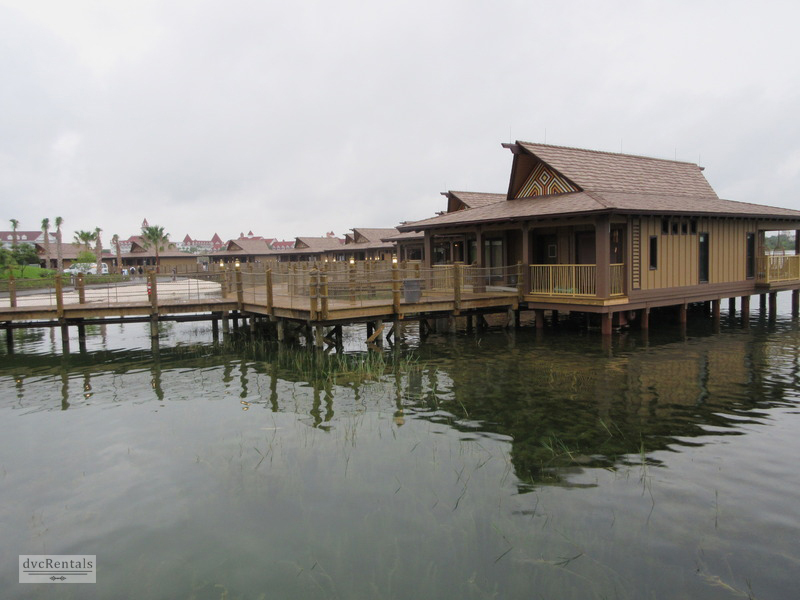 Disney Vacation Club’s newest resort debuted in April of this year. Disney’s Polynesian Village and Bungalows was added to the already existing Polynesian resort. Another deluxe resort located on the monorail, and a favorite of many, the resort has a unique option that can only be found at this Disney Vacation Club property. One can find bungalows here built right over the water of the Seven Seas Lagoon. The bungalows have terrific view of the Magic Kingdom. During the fireworks the accompanying audio is piped into each bungalow’s deck. There is a plunge pool, porch swings and chaise lounges out on the deck. In addition to the bungalows there are also standard Disney Vacation Club villas here (studios), which can be found in longhouses at the resort. This is the only Disney Vacation Club resort that does not have one or two bedroom accommodations; however connecting studios can be requested. The Polynesian theme is one of quiet tranquility, and features many tropical flowers, walking paths with tiki torches that are lit at night, and guests are greeted at check in with leis. Restaurants and shops are located in the main building called the Great Ceremonial House. A luau dinner show is offered to guests in a separate area outside of the resort. There are a number of pools at the resort, a children’s water play area and a hot tub. When Disney Vacation Club first opened in 1991, I doubt anyone would have predicted how wildly successful the program would become. Its growth is staggering, and I wonder what new surprises Disney Vacation Club has in store for us in the years to come. 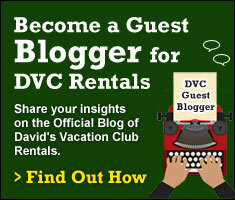 13 thoughts on "Disney Vacation Club: A Resort Overview"
I’m not sure I could pick just one. Love BLT, VGF, VGC, AKV, VWL, SSR Treehouses. We love Bay Lake Tower!! We will be staying there in a few days and it will be our 3rd stay there. Bay lake in 4 days! Old Key West. The studios are the largest of the DVC resorts we have stayed at and they have 2 actual beds instead of a bed and a sleeper sofa. Can’t wait to try others though! Not completely true. Poly now has the largest studios by a good margin. But Poly is Uber expensive compared to OKW and OKW has the two beds. My kid hates a fold out couch–even though Disneys are better than your usual hotel. I just wish they had resort rooms with a king bed and a sleeper chair-and-a-half or bunk beds. At nearly 6 foot with back “issues” the double beds don’t cut it. They certainly don’t feel like queens if someone is going to tell me they are. I’ve been looking at your site for months trying to decide – they all look so great. Maybe a split trip is the way to go! We love Bay Lake Tower for he convenience of walking to Magic Kingdom and Boardwalk for Epcot 🙂 looking forward to ‘trying’ Wilderness Lodge on our next trip.